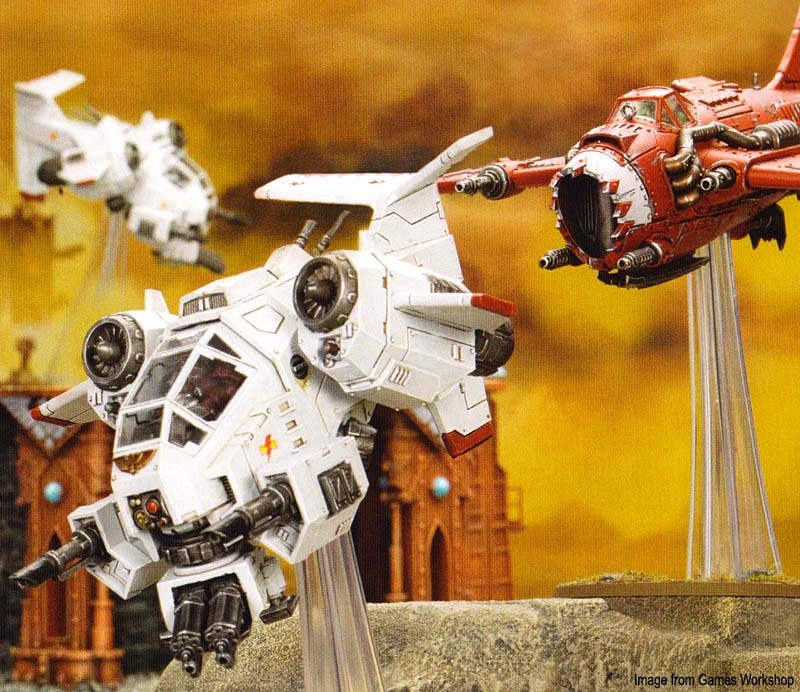 With the release of the new Space Marine Stormtalon Gunship in this month's White Dwarf, I thought I'd take a look at the hobby aspect and some tips and tricks you can use to get your new flyer "battle ready." We've got some great potential for armies this summer when you combine these new models with the pending release of the new edition. Vehicles can be a little more troublesome for folks. The large surface areas can seem daunting and getting a nice finish can be tricky if you've never done it before. There is hope, keep these 7 tips in mind while painting your vehicles and you won't need an airbrush to get a nice finish. Once you get them painted it's time to dress them up. Freehand and decals are going to see more attention with the new models. All that open surface area is screaming for some attention. You shouldn't let the idea of adding freehand or decals scare you either. Freehand work can be easily transferred over to your vehicle. Hazard stripes are easy if you know where to start. Decals go on without any trouble with the right process. Soot stains and heat stain on pipes and barrels will be in fashion now. With all the jet exhausts that will need to be painted, it's a cool effect you can add for some additional character to your model. Both effects are super easy to accomplish too. Here's how you get the heat stained effect and the soot stained effect. With the increase in flyers, lots more models have the clear plastic canopies that need to be attached. Again, don't let these scare you either. 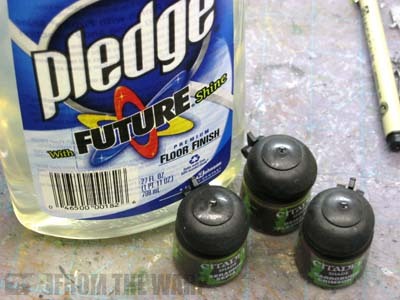 There are a few things you can do to make painting and attaching them as painless as possible. You'd hate to ruin a gorgeous model with one piece at the end. When it comes time to attach the canopy, use PVA (white) glue instead of superglue. The fumes in superglue can pick up skin oils left over from fingerprints and leave ghostly damaging marks on the plastic. Avoid all that by using a drop or two of white glue instead. And wait until after you've sealed your model with any protective varnishes before you attach your canopy. This piece should be last! A steady hand with a good brush is all you really need to paint the supports between the glass panes. If you're worried though, a tiny bit of masking tape might help you keep your edges sharp. If you want to tint your canopy a color like red or green, it's easy enough to do with Future Floor Finish and a few drops of the new GW shade you want to use. Mix them thoroughly and paint it on like you would any normal wash. I'd say to go with a 4:1 ratio (floor polish to GW shade) for a subtle look you can build on. Be careful not to go too heavy on the first pass, it's always better to build it up in layers until you get the tint you want on the canopy. And apply your tint to the inside of the canopy plastic so you keep your high gloss on the outside. I hope these few tips help you get your new flyers up and in the air. I'm excited to see what kind of dimension they add to the game. There's a thing about painting vehicles(not only them for sure, it can also be applied to terrain) I'd like to ask you. How would you paint a melta-caused battle damage? Let's assume we have a vehicle with a reasonably-sized melted hole in it. How would it look like? More like the heat stained effect or the soot stained effect? Nice recap on the tips Ron! Thanks! Ron, testors also sells a model glue that is specficly made for attaching windshields to car models that drys completely clear, you can actually make clear parts from it. Thats what the bottle says, but haven't tried that. But does as it says, drys completely clear, was amazed!! Thanks Ron,this will come in very handy when I pick up my StormTalons tomorrow. A tip for getting rid of those fingerprints left by using superglue (if thats all thats available): Put on a pair of rubbergloves,lightly wet the canopy (in clean water) and then dab dry with paper towel,carefully apply your glue and bingo bango,a fingerprint free canopy. I learnt this one back in my teens when I lived in the middle of nowhere and only had superglue available,also watched Beverly Hills Cop 2 incessantly (on VHS),which taught me why the glue reacts the way it does. Cheers,looking forward to seeing some more Novamarines. Its a liquid rubber that you paint onto the windscreen or other areas you want to protect before painting then just peel off when you're done. The biggest advantage I can see is that you can paint the interior detail, glue the canopy in place,mask it and then airbrush the entire model. That way you don't need to worry about glue ruining your paint job! Siph_Horridus: If I had a canopy myself, i would have posted the results. 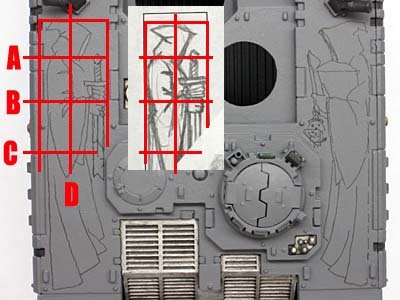 I did a test piece on some clear sprue before posting the tip here since I didn't want to give anyone bad info. Aeteros: Good question. Something like that might be able to be done either way. The soot stained look would be easier and might be more indicative of a glancing hit that didn't do too much damage. I might use the heat stained effect for a direct hit that nearly punched through the vehicle. The heat stained look will be tough with the blending. The only thing to keep in mind is that instead of going from one color to the next in a line (front of barrel to the back), you're going to go in a series of circles moving outward. 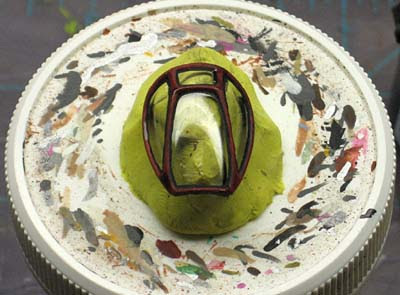 Start with the hottest part in the center and make rings going outward. EllisW: Thanks for the tip, I didn't know that was out there. Oktane: Good point. You can clean them with some soap and water too. The trick though like you mention is not getting fingerprints back on them when handling them as you're trying to glue them in place. Just when I thought I had bought all the models I wanted for my Space Marine army, GW releases the Stormtalon. The fiends! Anyway, back in my non-40K modelling days, I simply used Testors model glue to attach canopies. It didn't mist like superglue and it makes a strong bond, but it eats plastic so you have to be extremely careful not to spread any glue to clear areas. And I can second the advice not to apply any sort of Dullcote or varnish to the canopy. If you do, you'd better hope that your pilot has some good instrumentation since he definitely won't be flying visually. I've not had too much luck with white glue; the bond doesn't seem strong enough to tolerate any sort of handling. Has anyone successfully used any other sort glue or epoxy on clear plastic? for non USA people, future polish is known as KLEAR in the UK and europe. EllisW: I guess I was looking for something other than Testors since I had assumed that any of their glues would eat plastic. But Testors' website claims that their Clear Parts Cement is non-crazing and water washable until it dries. Given how few Space Marine models have clear canopies, I'm reluctant to spend $5.19 on a specialized glue for a single model, but I guess that's not too much to pay given how badly a damaged canopy can affect the look of a model. I might have to pick up a bottle when I buy a Stormtalon. Another hint from the modeling world would be to paint the canopy frame the interior cockpit color first then your outer color... this way the interior colors will match thru the windows. I don't too too much with clear plastic parts in 40k modeling, so it was good to have heads up before I marked up my canopy with super glue. James: I'm not a huge fan of the shape of the model myself, but I'm more interested in seeing how it gets converted into similar vehicles as folks get their hands on the model. cpt codpiece: Thanks for that. I'm on this side of the pond and I forget that things might be called different names in the UK. Gstealer: Another great point when it comes to getting your canopy "right." Cornu Mortem: Glad it helps. Lots of folks have more experience as you can tell by the comments. Hopefully this saves a few cockpits out there. Pro-builders say dip the clear canopy in future always as standard. The future makes the clear plastic crystal clear. If you damage a canopy there are two things you can do. Sand out the imperfections with micro grade sandpaper(2000-8000 grit)or Use a Tamiya clear color same idea as your Future/Wash tint but much more intense which hides the imperfections. Will: Thanks for the tip, I didn't know about dipping the canopy to get it crystal clear.